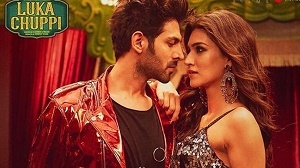 New Delhi: Ever since Kartik Aaryan and Kriti Sanon's upcoming venture 'Luka Chuppi's trailer came out, the movie has been making the right kind of buzz, especially amongst the youth. The 'Sonu Ke Titu Ki Sweety' star Kartik has become the new poster boy and all eyes are set on his this venture. 'Luka Chuppi' trailer how Kartik and Kriti, who set on a live-in relationship end-up living with their families. This fun-looking and youth-centric movie has certainly upped the curiosity levels. The makers have released a new party anthem 'Coca Cola' and it's yet another foot-tapping number. 'Coca Cola' has been sung by the brother-sister jodi of Neha and Tony Kakkar. The lyrics are penned by Tony Kakkar and Mellow D. The rap is by Young Desi and the music is created by Tony Kakkar. After 'Aflatoon' remix version, 'Coca Cola' is the second dance number from 'Lika Chuppi'. 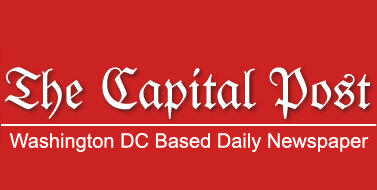 The movie is directed by Laxman Utekar and produced by Dinesh Vijan. The film is scheduled to hit the screens on March 1, 2019. 'Luka Chuppi' also stars Aparshakti Khurana, Pankaj Tripathi and Vinay Pathak in pivotal parts. So, are you looking forward to watching this one?